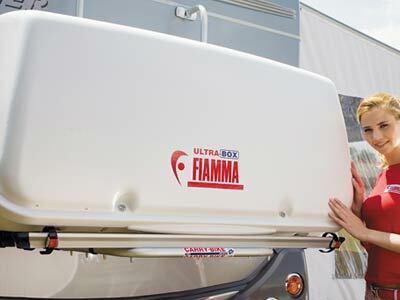 The Fiamma Ultra-Box 500 back box offers an enormous 500 litres of storage space, which is big enough for the largest of motorhomes. Made from top quality ABS-PLUS to provide high resistance and protection against impacts, weather conditions and ultra violet sun rays. 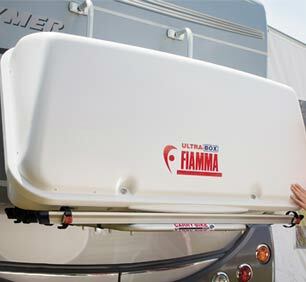 It is co-extruded and has water tight foam seals and flexible luggage netting. 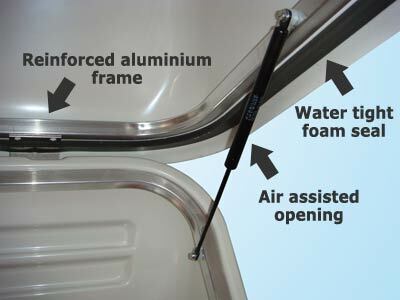 Smooth up and down lid motion, thanks to the air assisted opening. 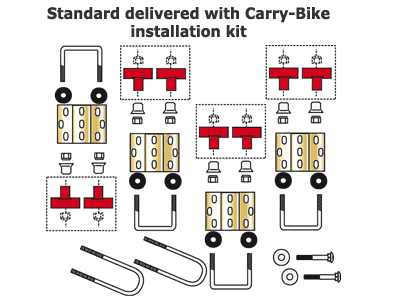 The Fiamma Ultra-Box 500 can be installed on the Carry-Bike (kit included), or on the rear of the vehicle with the optional Wall-Mounting kit. GS/T?V approved. 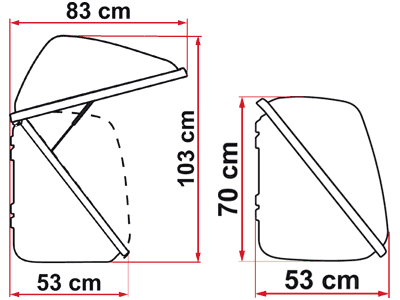 Dimensions open cm: 147 (L) x 83 (W) x 103 (H). 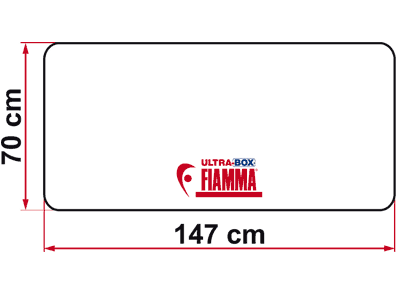 Dimensions closed cm: 147 (L) x 58 (W) x 70 (H).